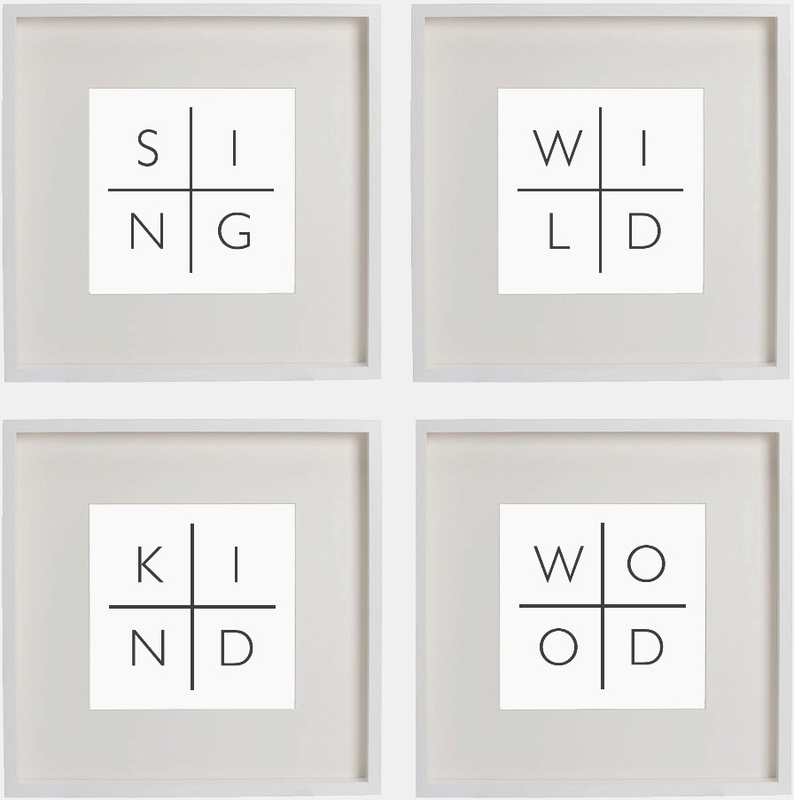 SING/WILD/KIND/WOOD by Alec Finlay is a suite of 4 giclée prints. Each print holds one word, with the four letters from each word laid out in a grid, separated by a central cross. Reworking a line from American poet John Berryman’s Dream Songs, the formal structuring is typical of Finlay's ongoing work with found texts. SING/WILD/KIND/WOOD relates to Finlay's permanent public installation of painted nest-boxes in Victoria Gardens, commissioned by Leeds Art Gallery in 2011. Finlay's work was exhibited at the gallery in the same year, when he was shortlisted for the Northern Art Prize. The work is printed on Hahnemühle Photo Rag by Jack Lowe Studio in a limited edition of 10.